Using an overdraft to start a business can be a good financing option. Overdrafts do have some significant advantages when compared to loans but of course there are some downsides as well. Overdrafts should only be used as a short term finance option as they will usually work out too expensive over a long period of time. Most banks and building societies will be able to supply customers with an overdraft regardless of whether it is for business or personal use. 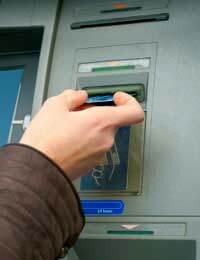 An overdraft is an agreed amount of revolving credit that can be used by the customer. There will usually be a credit limit involved and a time period for the length of this credit facility. There is usually no set repayment terms; the customer uses the facility then it will be repaid when money is placed into the account to cover it. Overdrafts are popularly used by businesses as a working capital option. As a short-term financing option they are excellent as long as the borrower repays the credit within a short period of time. As you only borrow as much as you need overdrafts can be a very flexible financing option. However, there will still be interest to be paid on overdrafts as well as the actual overdraft. The interest rates can vary between banks although lenders will usually offer fixed or variable interest rates. With such a flexible form of credit it may seem that abusing this facility would be very hard to do. However, businesses regularly abuse this credit option and there is a price to pay for doing so. Exceeding an authorised limit will guarantee hefty charges, and these charges will occur each time credit is used over the limit. Charges can soon mount up as well as the interest payments on top of the charges. If this abuse continues regularly the lender will simply withdrawn the facility and demand repayment of the outstanding amount in full and immediately. Overdraft fees and charges are not small and will vary from lender to lender. Compounding fees can soon mount up very quickly. Banks will often charge a customer if the limit is exceeded, and will then charge the same amount every three to four days until money is placed into the account. This is when businesses can often find themselves in trouble as charges and fees spiral out of control. Lenders can refuse to honour payments made to suppliers from the overdraft and the situation will only become worse. It is very important to keep overdraft spending to a minimum and make sure that the limit is not exceeded. Overdrafts are a good option to have but should never be used as a long term financing option. Long term financing options such as unsecured loans will work out less expensive over a longer period of time. New businesses should always compare loans and overdrafts before deciding which one is the better option when starting a new business. It may be a good idea to have an overdraft facility for emergency use only. That said, it is very rare for any business not to have some form of overdraft facility in use as part of their working capital. Overdrafts are extremely popular as a short term business finance solution. New businesses should fully understand the terms and conditions, including fees and charges, before agreeing to any overdraft facility. There have been a great number of start-up businesses that have failed due to lenders demanding immediate repayment of an overdraft. Always review your financing options regularly, and this should include your overdraft facility.